One day, the big bad wolf is drinking water at the stream near the mountain. 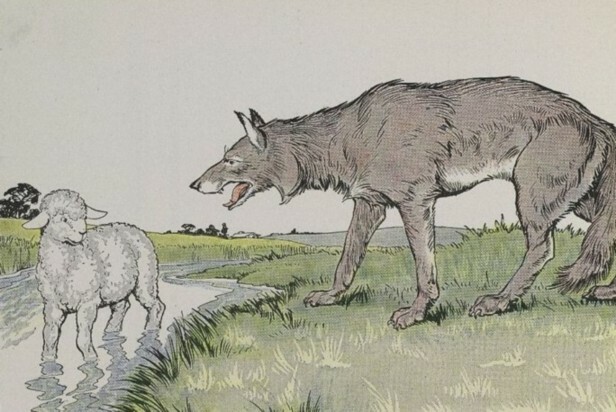 When the big bad wolf lifts its head up, it sees a fat lamb is also drinking water further down the stream where he is. With that excuse, the big bad wolf dashed upon the fat lamb and ate her up. Bad people always find excuse to do bad things.